If you are deep in debt or buried under a pile of medical bills, you have the option of filing for bankruptcy to eliminate your debt. The only way you can qualify for a Chapter 7 bankruptcy is by taking the California bankruptcy means test. While bankruptcy may seem like a good idea, you need to know about the entire process before you make a move. Being in debt can be frustrating, however, it can be much worse filing bankruptcy if you have too much income or assets that you may lose. The California bankruptcy means test is intended to prevent anybody with the means to pay their debts from filing bankruptcy. Chapter 7 bankruptcy is typically available for low-income earners. If your income is below the state’s median for a particular household, you will probably pass the Chapter 7 bankruptcy means test. Taking the bankruptcy means test is a requirement to file bankruptcy. Every individual who earns more than the current California median income must complete the chapter 7 bankruptcy means test to see if they qualify for Chapter 7 bankruptcy. The state of California has a number of requirements to file bankruptcy. The most important bankruptcy requirement is to qualify for filing based on present monthly income. The court will take into account every person’s income in the household, regardless of its source. The court will calculate income by subtracting expenses. The fact that you meet the prerequisites for filing for a Chapter 7 bankruptcy doesn’t mean you should. This should only be the last resort and should only be considered when you do not have the means of repaying your debt. When you are considering filing bankruptcy, it is imperative that you seek out the services of a qualified bankruptcy attorney for a better understanding of the bankruptcy laws that apply. An experienced attorney should be able to help you to avoid any mistakes and to consider every possible option for eliminating debt. What is the California Median Income for Bankruptcy Means Test? California median income is the amount set by the state for each calendar year. Basically, the court looks at past and future income to see if a person qualifies for a complete elimination of their credit card debts and medical bills. A person typically qualifies for Chapter 7 bankruptcy if they earn less than the median income amount set by the state. 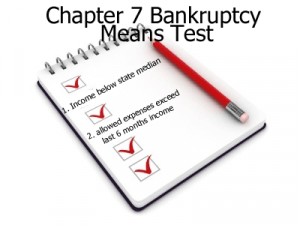 A person or household with a high income that exceeds the state’s median income for the household is subject to the bankruptcy means test to qualify for Chapter 7. In other words, if a person or a household has a high income, they may have to repay some of their debts in a Chapter 13 bankruptcy plan. A Chapter 13 bankruptcy is an option that allows a person or household with high income to eliminate some of their debts, and pay back some of the debts under a court-approved plan. T o find out if you meet the requirements to pass the Bankruptcy Means Test you can call us and discuss your situation with our bankruptcy attorneys for free. On the first call, you will be connected to a bankruptcy attorney and you will get a quick answer whether you qualify for bankruptcy and what is the best option for you. 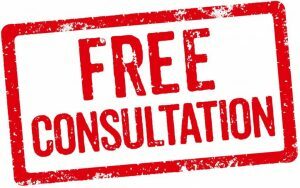 Call 818-254-8413 to be connected to an experienced bankruptcy attorney for free. If you are deep in debt or buried under a pile of medical bills, you have the option of filing for bankruptcy to eliminate your debt.